In 2011 Joplin, Missouri, was devastated by an EF-5 tornado. The storm ripped up 15 miles of the town, killing 161 people. Turquoise Table community member Ann Leach survived, but lost everything. Ann tells us her remarkable story of rebuilding after the storm, the miracle of the human spirit, and the beauty of a community coming together to survive and thrive. A grief counselor and life coach, Ann gives us tips on how to help those in our community who are hurting, what to say when you have no idea how to say it, and how we can find hope in the most dire situations. On Sunday, May 22nd, 2011, a deadly tornado tore through the town of Joplin, Missouri. The nearly mile-wide funnel traveling at 200 miles per hour touched down at exactly 5:41 PM. The twister stayed on the ground, traveling almost 15 miles, devastating most of the city. 161 people lost their lives that day. Our guest today, Ann Leach, was at home in Joplin that Sunday afternoon. She survived the tornado, but lost everything. Ann is a member of our Turquoise Table Community. She is a grief counselor, life coach, and runs The Creative Cottage, a historic bungalow where she hosts retreats and sees clients as she helps them find hope and healing in their own lives. 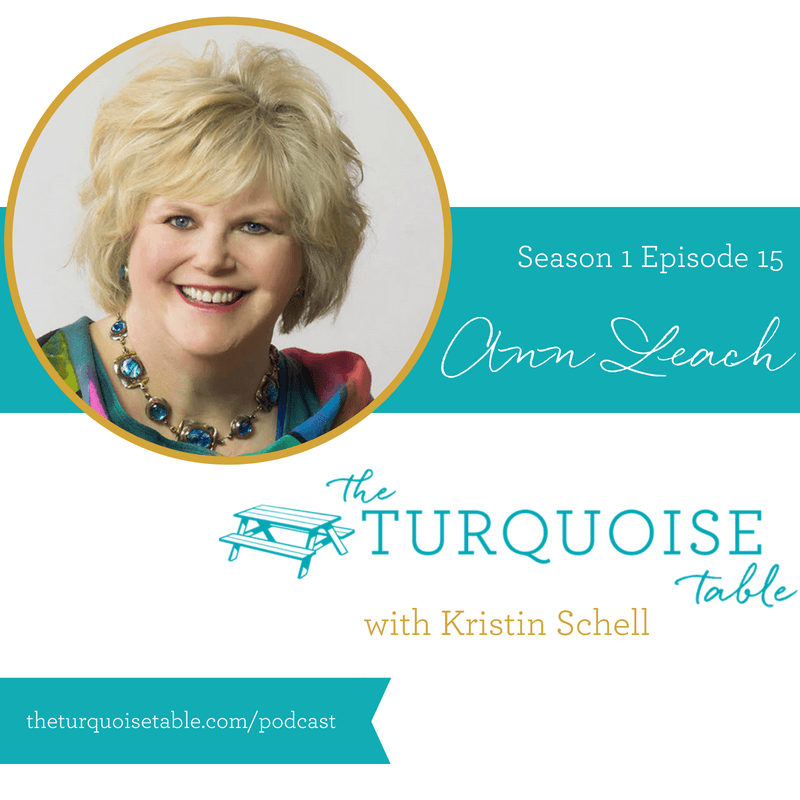 Ann was so moved by The Turquoise Table that she did something extraordinary. She partnered with a local nonprofit, One Joplin, and the local Sherwin-Williams paint store and launched a community-wide effort to encourage Joplin residents to put Turquoise Tables around town and in their own front yards. This is a story of resilience, of restoration and of hope. You will be encouraged by the miracle of the human spirit found in Joplin, Missouri. I’m in awe of Ann and the entire city of Joplin. You’ll hear in our interview that 92% of the businesses decided to stay in the community after the storm. They were committed to the place that they loved and called home. This community suffered the unimaginable. The scars are permanent, but what stands in the storm is faith, hope, and love. I loved this! Being just down the road from Joplin, in Springfield, I was especially interested in Ann’s story. I remember the day of the Joplin tornado so well! Hearing about the Joplin Turquoise Tables made me want to hop in the car for a short road trip/treasure hunt to find those tables!